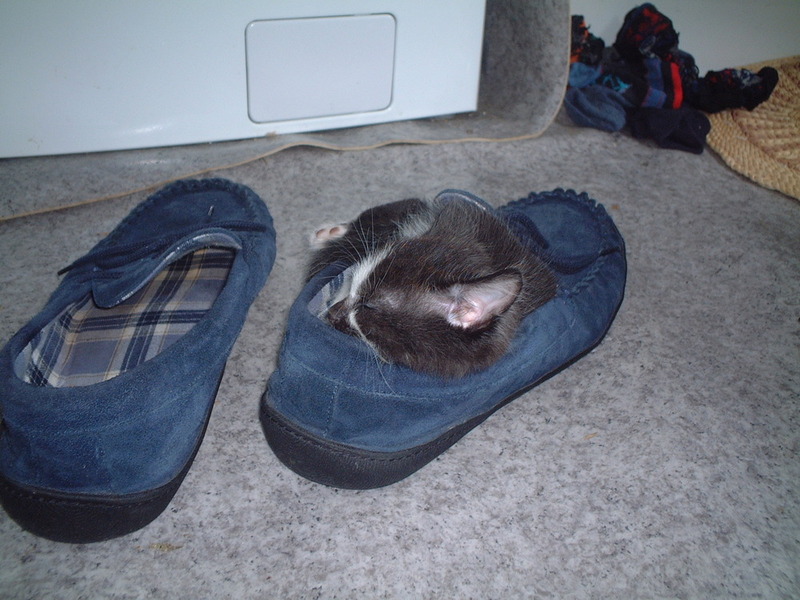 Somehow or other, I’m just in the mood for a nice kitten in a slipper. So I bring you Smoky, who lives with the Lang family. Exactly what I needed!